MSI recently made the officially announcement of its upcoming new entertainment notebook, named MSI CR420.The all new MSI CR420 Notebook now features embedded Intel Wireless Display that allows the user to transfer images to HDTV from the laptop via wireless connection. 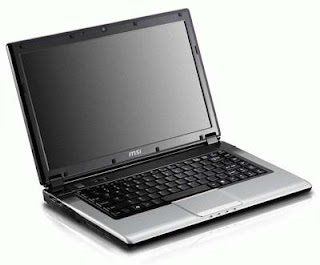 The new MSI CR420 Entertainment Notebook comes equipped with a 14-inch LED-backlit display with resolution 1366 x 768 pixels and is powered with Intel Core i5 processor.The notebook houses an Intel HD integrated graphics card and has support for up to 4GB DDR3 RAM and 250GB/320GB/500GB HDD. All new MSI CR420 Notebook Features 1.3 megapixel webcam, stereo speaker with Intel HD audio, Wi-Fi 802.11b/g/n, Bluetooth 2.1 EDR, 4-in-1 card reader, ExpressCard slot, two USB 2.0 ports, combined eSATA/USB port, VGA port, HDMI and DVD Super Multi drive. New CR420 Notebook from MSI comes pre-loaded with Windows 7 Home Premium OS.The notebook weighs 2.2 kg including 6-cell Li-Ion battery and has a dimension of 344.4 x 221 x 13.5-28 mm. Tags:-MSI CR420 Entertainment Notebook features, MSI CR420 Entertainment Notebook specs, MSI CR420 Entertainment Notebook details.